Eric(h) Zeisl’s unfinished opera Job had languished unperformed for 55 years. Now, as part of the Munich Opera Festival, it was revived by the Orchestra Jakobsplatz in collaboration with the Bavarian State Opera. To that end, the opera commissioned Jan Duszyńsky to finish the work by providing acts 3 and 4—the “America” bit of the Jewish-life-and-exile-saga based on Josef Roth’s play of the same name. In amateurish hands—as can be seen in excerpts in Herbert Krill’s documentary Eric(h) Zeisl - An Unfinished Life, where Viennese students butcher some scenes—Job sounds terrible and Hans Kafka’s libretto makes the affair feel like a highfalutin production of Fiddler on the Roof gone wrong. Under the highly professional guidance of the State Opera, performed in the old military Riding Arena in Munich, and played by the ever-varying-in-makeup Orchestra Jakobsplatz—in as large a formation as I’ve ever seen them and in good form under their founding conductor Daniel Grossmann—the result was very considerably more pleasing. Apart from the overture, a few musical highlights stuck out. 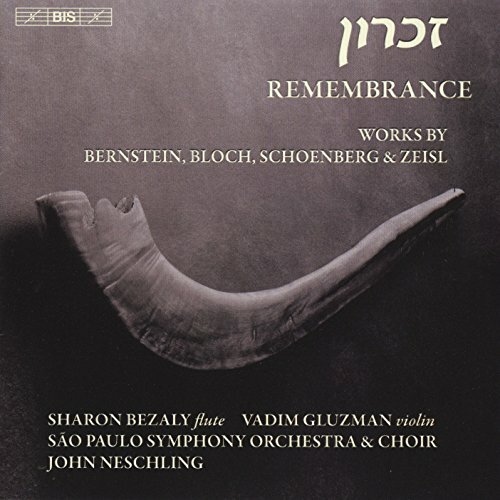 A few duets throughout, but especially the chorus that prepares Mendel’s family’s departure to America—executed by the two well-trained choruses, kids and regulars—and the parting lullaby for Menuchim (a splendidly acting little boy!) by his mother Deborah (the strong and regal-voiced Christa Ratzenböck). Then Jan Duszyńsky’s music takes over, set to remnants of the libretto vigorously altered by the composer and director Miron Hakenbeck to suit their dramatic line. When Duszyńsky was approached with the task of finishing the opera, he didn’t know Zeisl’s music (then who, but for a few interested geeks, does?) but was attracted to his biography. Being Jewish in Poland (surely not without its tribulations, even after the War) was one parallel he felt. Another, tying him to the story in particular, was having had a child born with grave health problems. The sensitivity shows in his treatment which, though musically nothing like Zeisl, picks up on several threads that weave themselves through the first two acts. Much like Zeisl circles—sometimes endlessly—around specific melodic cells, Duszyńsky circles around words. The effect is one of continuity: the static element of the opera—half-way an oratorio—remains prominent throughout. Duszyńsky ’s music is modern, the kind of which is not to everyone’s taste—especially those who like to indulge in the kind of late romanticism Zeisl was so eminently capable of. (Though he shows more of that in works like his Requiem, the Piano Concerto, Viola Sonata, or the Pierrot in the Bottle ballet music.) But amid the halting and sparse and abstract, there are arias more singable than even Zeisl’s. They continued to feature the singers—mostly from the Bavarian Opera’s young singer’s opera studio—to great effect. Admittedly not Peter Lobert, who sang his last, hugely impressive, notes to the last strands of echt-Zeisl and had no Duszyńsky assigned. But his stand-out effort as Kapturak, the anti-Semitic Chief of Police, deserves first mention, as does his resonant, deep, melodious and simply beautiful bass. In a way he was bad news for his young colleagues who played the two older sons of Mendel: the passionate tenor Patrick Vogel (Jonas) and the dedicated baritone Wiard Witholt (Schemariah) who haven’t quite yet the vocal personality to match. The two young ladies of the cast, Mária Celeng’s Mirjam and Rachael Wilson’s barmaid, were firecrackers. The former impressed with impossibly charming, taunting beauty and more spark than a ballet of flints. The dramatic talent was just about matched by her secure and controlled soprano with its fine, liberal vibrato. Mezzo Wilson, in this role a bravura minx and brazen hussy, was brilliant to make so much of so little—capable of wiggling her toes more suggestively than should be legal, then singing with a fine mix of clarity and earthiness. She did much of that to the "Kossack Dance" (an excerpt performed by Leopold Stokowski at the Hollywood Bowl in 1946), which wasn't, in this staging, so much of dance and more of a… romp. Veteran Chris Merrit meanwhile, sang in a way that one could generously consider authentic… which is to say: No better (though certainly louder) than a real Mendel might have, at home… In the more artificial world of opera, and guessing it wasn’t artistic intent, his belting was beyond the pale, however much his fine dramatic presence made up for. Tenor Matthew Grills, the adult Menuchim, took on a hybrid role of Composer (a là Ariadne) and prodigal son. He is not only the lost child that returns to find his father, decades later, in America—it is also him, son of the opera’s protagonist, who endeavors to finish the opera. A clever theatrical touch to a two-composer opera that was ultimately more compelling as theater than music. 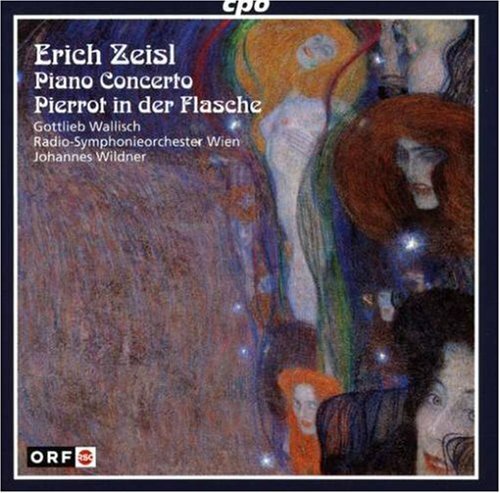 The wife of Eric(h) Zeisl had always wanted to have the Requiem as the finale. This makes sense for a work that is plenty long on its own, especially since the Requiem is a concise, taut little masterpiece. I prefer, in theory, the idea the state opera went with, because it invites the courageous failure (or success) that is so important to the life of classical music. I may not have greatly loved the additions and think that both parts—new and old—would be helped by (more) severe cuts into both scores. But I would have never known, if not for trying… Aside: Zeisl himself might have appreciated a shot at completing an opera, as a young composer. Eric(h) Zeisl will have a chapter dedicated to him (shared with Franz Mittler) in the upcoming second edition of Surprised by Beauty. Review also to appear on the website of AUDITORIUM.